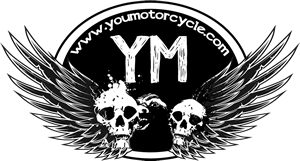 Captain Crash has been been making videos to help motorcyclists improve their skills for the past five years. He’s also written a couple books about it. Don’t let the name fool you, Crash is a good guy to learn from. His videos are entertaining and informative – just my cup of tea! 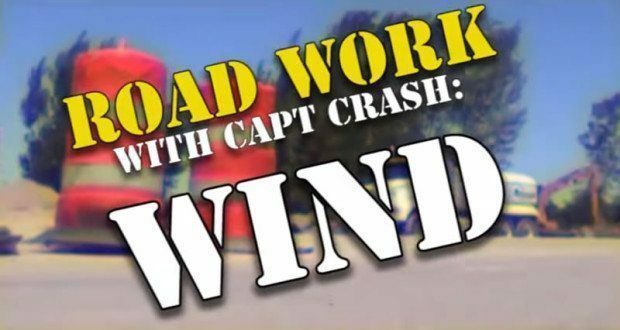 If you’ve ever panicked in the wind, give this “How to Ride in the Wind” video a test ride, loosen up, and enjoy the ride. One final word of advice: you don’t need to slow down. In fact, centrifugal force is part of what keeps your motorcycle upright. It’s the spining on an axis. Your motorcycle doesn’t want to get blown over, it wants to keep going upright for as long as your tires keep spining. See that motorcycle? It never falls over. It keeps on rolling. So next time you’re getting nervous in windy weather, loosen up, lean into the wind, and remember you, and the bike, want to stay up, so you will. Good counter steering technique is helpful especially with gusty wind. Since hills, overpasses, and traffic alter the surface wind, you will need to constantly adjust the pressure on the handle bars to compensate for the changing push from the wind. Experience will help greatly, when I first got my M50, it was very unnerving to have wind, but with practice it has gotten a lot better. Try to be aware of the traffic around you and the terrain near the road and get a feel for how it affects wind. With the mountains here in Colorado we always have some kind of wind. Ride Safe. Great article for beginners. I just bought my first motorcycle and I am still learning to master the motorcycle. I was afraid of riding in the wind before but I will definitely be more confident riding in the wind after watching the videos.